Film Screening: The Architecture of Paris. From the Haussamann era to the edges of boulevard peripherique or ring road, this is a story of how Paris became a vibrant metropolis. 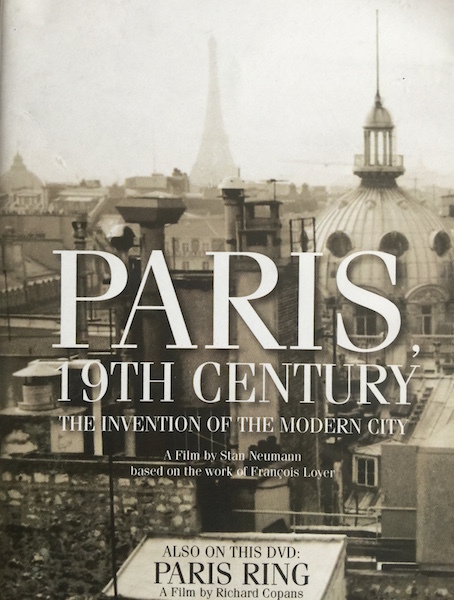 Join us for the screening of the first of this two-part series on how Paris of the Twentieth century succeeded in accommodating modernity while holding onto its Nineteenth century gems. How have the demands posed by modern life, vehicular circulation and social housing managed to leave room for architectural creativity? Stan Neumann deftly follows art historian Francois Loyer as he makes his way carefully and deliberately through Paris architectural spaces. In the early 1800’s, Paris was visibly stifled by the structures it had inherited from the middle ages. Yet within a few decades the city managed to become the capital of the 19th Century. This documentary provides a detailed analysis of the transformation of Paris into a modern city and how the urban fabric that is the home of the Parisians of today was woven together. This film is in French with English subtitles. The screening is FREE to PHLF members. Click here to join.